/ Do Debt Management Plans Work for More than Just Credit Card Debt? Do Debt Management Plans Work for More than Just Credit Card Debt? So you’ve reached the point with your finances where you know you need help. Your debt is too big and monthly payments are taking too much of your income for you to get out of debt on your own. You want to consolidate your debts with a debt management program, but how do you know which debts you can consolidate? Many people believe the only kinds of debts you can consolidate with a debt management program are credit card debts, but in truth you may be able to include more debts than you expected when you enroll in the program. While credit card debts are likely to represent a large portion of your total debt, there may be some additional outstanding balances owed which can also be included in a debt management program for an even greater benefit. 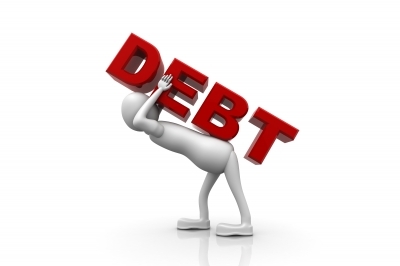 It all depends on what kinds of debts you have and the history that’s occurred with each debt. In a basic sense, a debt management program is designed to consolidate unsecured debt. This not only includes your credit cards, but also things like payday loans and medical/dental bills. These kinds of debts often cause people big trouble in their finances, so including them in your debt management plan can offer large benefits. Both of these credit lines are unsecured loans that carry extremely high interest rates. Although many consumers try to use payday loans or advances to cover credit card bills, they often cause more harm than good. If you’ve taken out one or more payday loans and you’re falling behind with the payments, you may be able to consolidate these debts into your debt management program right along with your credit cards. Unfortunately, not all cash advances and payday loans can be consolidated. Some loan companies which offer fast cash advances have strict guidelines that prevent consolidation of any type, including enrollment in a debt management program. If you took out your payday loan at an actual store, there’s a good chance they have a non-consolidation clause in your contract. Online payday loan companies tend to be a little more flexible than their bricks and mortar counterparts, so you can often consolidate payday loans you got online with a debt management plan. In some cases, if you have outstanding medical or dental bills you can also include them in your debt management plan. These debts can typically be included up to one year after the debt was incurred, however times may vary. It’s impossible to tell by looking at your debts which can be consolidated and which can’t. Even qualifying to include credit card debts in your debt management program can vary depending on your debt repayment history. For example, if you’re more than six months delinquent on any of your accounts, you may not be able to include it in your program. The best way to determine which of your debts can be included and which can’t is to contact a not-for-profit credit counselling agency to have them assess your debts free of charge. A trained credit counsellor can verify which accounts can be included in your debt management program, as well as advise you on how to handle any other debts you can’t fit into the program. With the help of a trained credit counsellor you can make a plan to get your finances back on track—both within your debt management program and outside of it. Even better, many credit counselling agencies are not-for-profit, so you can have your debts assessed and get the advice you need for free. Connie Solidad is a writer for Consolidated Credit. When she isn’t working, Connie enjoys spending time with her two dogs in Tampa, Florida.